If you thought Lenovo was going to stop its announcements at ultrabooks and netbooks, you obviously don’t know the company very well. The Chinese announcement marathon continued with a bunch of solid desktop computers and refreshed all-in-ones. 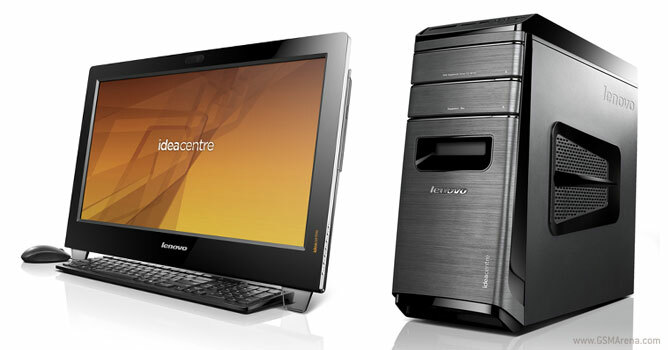 More specifically, the IdeaCentre B-series got a refresh in the form of the B540 and B340 powerful all-in-ones, while the Lenovo desktop family got new members from the IdeaCentre K and H series. 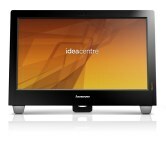 Let’s start with the IdeaCentre B540 and B340 all-in-ones. The B540 will come with a 23-inch full HD display out of the box, while the lower-end B340 sports a 21.5-inch one.Lenovo says the new B-series have an improved multi-touch technology and can be ordered with 3D screens if you want. The company doesn’t get too specific on the processor part, but both machines will have Intel Core CPUs of some kind, up to 8GB of DDR3 RAM, 2TB SATA III hard drives and up to 1GB-packing NVIDIA GeForce 615M graphics card. 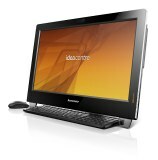 Both AIOs can be purchased with the optional OnKey TV4, which is Lenovo’s own way of switching between the PC and TV modes of the computer. There’s also a picture-in-picture mode and the ability to watch just TV without powering the PC on. Expect the refreshed B-series in June with a starting price of $699. 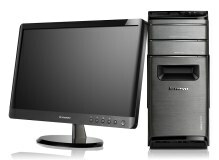 Moving on to the tower desktops we come upon the IdeaCentre K430, which is a real treat if you are loaded enough to spec it to the max. It’s powered by Intel Core i7 CPUs, up to 32GB of DDR3 SDRAM, dual-graphics support by either NVIDIA or AMD, and up to 4TB of HDD configured in RAID 0. The H520s, unlike its more powerful brother, chooses to provide better value for money instead of ultimate performance. It comes with an Intel Core family CPU, 2GB AMD Radeon HD7570 or a 2GB NVIDIA GeForce GPU and 8GB of DDR3 SDRAM. The maximum storage available is 2TB. The IdeaCentre K430 will be available in May with a starting price tag of $599, while the H520s will pop up in June for $499.